ClassicLine Insurance together with one of their leading underwriters Ageas Insurance have been revealed as Pub2Pub Adventures official insurance partner for 2018. Pub2Pub Adventures is the brainchild of automotive writer and adventurer Ben Coombs who spearheaded the highly successful, and recently completed, Pub2Pub Expedition which saw him drive a TVR Chimaera from the world’s northernmost pub to the southernmost. However, the end of the expedition a few weeks ago was not the end of the adventure but just the beginning as Ben launched Pub2Pub Adventures off the back of the journey. The aim is to build a company dedicated to making the unique blend of adventure road trips available to everyone, while organising new journeys which build on what the Pub2Pub brand has already achieved. These journeys will range from accessible European road trips, right up to ground-breaking undertakings to redefine what is possible in a sports car, with a planned trip to the South Pole in the next decade! Ian Fray, managing director at ClassicLine Insurance, said: “It’s very exciting to announce this sponsorship deal with Pub2Pub Adventures who have some very big plans for the future following the success of the recent expedition. 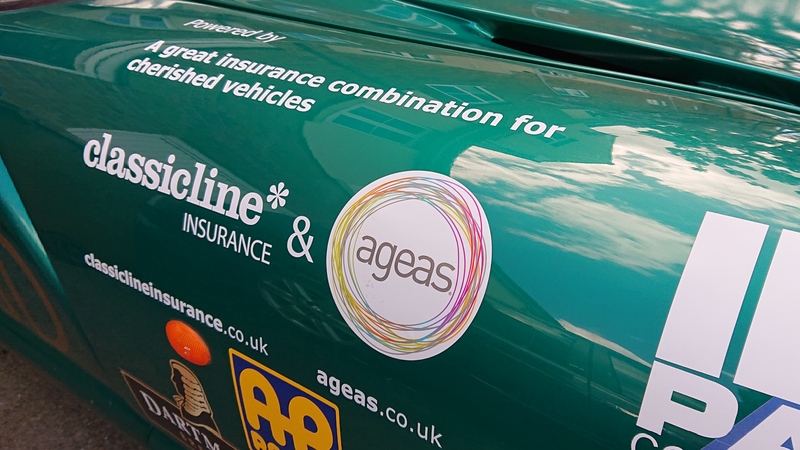 Chris Dobson, Ageas Distribution and Development Director said; “Owners of highly cherished classic and performance cars like TVR, Porsche and Hotrods know that Ageas and ClassicLine can offer excellent insurance products for their vehicles. We’re delighted to extend this to Pub2Pub Adventures and their new venture”.